TOKYO (Reuters) – Japan plans to dispatch its largest warship on a three-month tour through the South China Sea beginning in May, three sources said, in its biggest show of naval force in the region since World War Two. The Predator is dead; long live the Reaper. The retirement of the antiquated Predator drone MQ-1, which is to be withdrawn from service in July and replaced by the more capable MQ-9 Reaper, is giving military analysts an opportunity to review the mixed history of a weapon that has long been associated with low-cost war, a sense of disembodiment from conflict, and for inflicting a high number of civilian casualties. Iran has deployed a new counter-drone weapon — a rifle-shaped jamming device that the regime says can electronically separate a remotely piloted aircraft from its command pilot and even reprogram it to turn on its owner. The development could be significant for the future of drone warfare. Unmanned aerial vehicles are taking on larger roles in anti-U.S. planning by Iran and other belligerents. The U.S. military routinely launches spy drones over the Persian Gulf as well as over Iraq and Syria. Iran has tested and deployed suicide drones that it says can be launched against U.S. ships, which are targets of harassment by the Islamic Revolutionary Guard Corps’ navy. Gen. Joseph Votel, who heads U.S. Central Command and oversees Persian Gulf operations, said UAVs are among several weapons Iran deploys to try to menace shipping. The Iranian Revolutionary Guard has built a number of weapons manufacturing plants in Lebanon and handed them over to Hezbollah, which has been running their production lines for the past three months, Kuwaiti newspaper Al-Jarida recently reported. The Kuwaiti newspaper quotes an anonymous source as saying that these plants can produce different types of missiles, including those with a range of more than 500 kilometers; land based anti-ship missiles, antitank missiles and drones that can carry explosives. It isn’t clear how reliable this report is, but in the past this newspaper has served as a kind of clearinghouse for reports actually originating in Israel. In the Arab world, Al-Jarida is considered a propaganda mouthpiece for Israel. JTA — Francois Fillon’s conservative political party apologized for tweeting an apparently anti-Semitic caricature of rival French presidential candidate Emmanuel Macron. “Politics is tough but it must remain dignified. I will not tolerate my party using caricatures that use the themes of anti-Semitic propaganda,” Fillon tweeted, saying he had demanded his party chief apologize and sanction the people responsible. 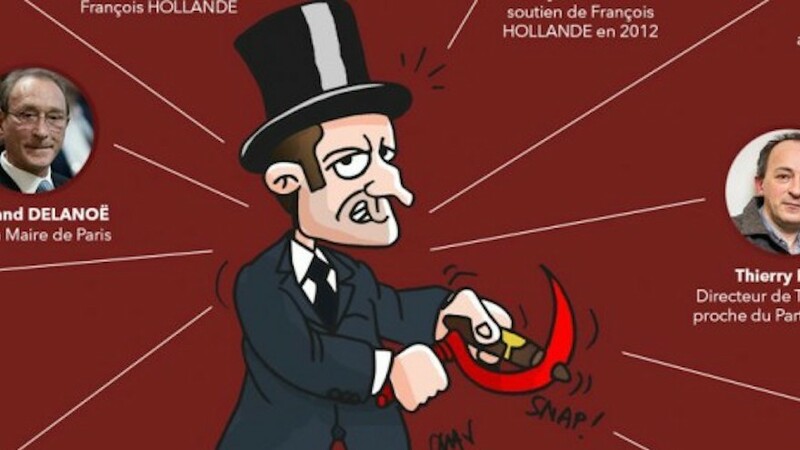 The Republicans on Friday posted — and then quickly deleted — an image of the independent centrist Macron with a hooked nose, wearing a top hat and cutting a cigar with a red sickle. The image was reminiscent of anti-Semitic propaganda from World War II, when France’s Vichy government collaborated with the Nazis to deport and exterminate Jews. Macron is not Jewish, but in the past he was an investment banker at a French bank controlled by the Rothschilds, a wealthy Jewish family that has long donated heavily to Zionist causes and been the subject of anti-Semitic conspiracy theories. The Russian armed forces were set to bolster its air force’s fighter jets by adding more nearly three dozen planes to its existing fleet of fighter jets, a high ranking defense official said last week. The new aircraft include 16 Su-34 bombers, 17 Sukhoi-30SMs fighter planes and 10 Yakovlev-130 planes for both combat and training, Tass reported. The Su-34s were expected to be delivered to Russia’s Aerospace Forces by next year, Deputy Defense Minister Yuri Borisov said Friday. Moscow, Mar 12 (Prensa Latina) Russian ministry of Defense (Mindef) denounced today that Latvia denied the visit to military facilities that this country had previously requested to be closely monitored, describing them as a threat for its security. Latvia asked in 2016 for a visit to the Russian air force brigade in the city of Ostrov and the landing troops of Pskov, but now this country refuses to do it, said a statement issued by Mindef. Russia considers that the refusal of Latvia responds to an action of solidarity with the North Atlantic Treaty Organization (NATO). Mindef also referred to the statements made by NATO secretary general Jens Stoltenberg, who said that at least ten times Russia was invited by this organization to join the exercises in the region. The Mindef statement said that according to a document signed in Vienna 2011 on the principle of openness by the two parties, Russia was only invited once to witness the exercise Anaconda-2016. Mindef said that following the documents of Vienna, Russia sent its monitors to the exercises, but they only received negative answers to their requests from the Government of Poland, where the exercise took place. The Mindef statement also said that Russia invited NATO representatives to at least 30 activities of different kind. Russia may complete the destruction of all its chemical weapons stockpiles this year, presidential envoy to the Volga Federal District, chairman of the State Commission on Chemical Disarmament Mikhail Babich said Monday. MOSCOW (Sputnik) — Babich said at a meeting with Russian President Vladimir Putin that Russia’s international obligations prescribed by December 31, 2018 to complete the work to destroy chemical weapons. “But, I want to report to you that if we move at the same pace, if there are no technological shifts, then we will be able to finish this work financially, technologically, and in terms of personnel, this year — we will additionally report this to you,” he said. He pointed out in November 2016 the work on chemical weapons destruction had been completed at six out of seven sites, and the work was conducted at the moment at the Kizner facility in the Russian northern republic of Udmurtia. Babich added that in general Russia spent over $5.5 billion for chemical weapons destruction. Earlier, Babich said that Russia had already destroyed over 96 percent of its chemical weapons stockpiles. He pointed out that toxic agents at six out of seven sites had already been destroyed, while the work on the liquidation of the consequences of chemical weapons destruction started. Syrian opposition fighters will be allowed to leave the last rebel-held neighborhood in the city of Homs under a Russia-backed deal signed on Monday, a Syrian official and an activist said. According to Talal Barrazi, the governor of Homs province where the city of Homs is the capital, the deal is to be carried out within six to eight weeks. The rebel fighters who decide to stay in Homs can benefit from a government amnesty that was issued earlier, he added. Homs, the country’s third largest city, was once the center of the uprising against President Bashar Assad. During the civil war, now in its sixth year, wide parts of the city were held by rebels and insurgents but the state eventually regained control of all areas of the city except for al-Waer, the last rebel neighborhood. Al-Waer is home to about 75,000 people and has been under a government siege since 2013, triggering shortages of medicine and on occasion also food. Barrazi’s statement, carried by state SANA news agency, said the evacuation is the third phase of a deal reached last year that saw hundreds of fighters and their families leave al-Waer to other rebel-held areas. The Trump administration’s internal debate over how to capture Raqqa, the so-called capital of the Islamic State (IS), is continuing nearly two weeks after the Pentagon presented the White House with a detailed blueprint on how to do the job. Summary⎙ Print The US military wants to work with local forces against the Islamic State in Raqqa, but still is working out many of the details, including who should hold what ground after IS is defeated. The US Central Command remains strongly in favor of moving ahead with the Syrian Kurdish group known as the People’s Protection Units (YPG) and their Arab allies who operate under the umbrella of the Syrian Defense Forces (SDF). But concerns over Turkey, a critical NATO ally, are holding up plans to arm and train the SDF under the terms of a special presidential dispensation known as Section 1209 that permits the Pentagon to arm nonstate foreign militias. Turkey has repeatedly warned against giving the YPG modern sophisticated weapons, saying the group could transfer these to its ally, the Kurdistan Workers Party, which is fighting for autonomy inside Turkey. Trump has not signed Section 1209 for the SDF yet even though the Obama administration recommended he do so. The announcement of a final decision on Raqqa has likely been put off until after Turkey votes in a referendum April 16 that would formalize the sweeping powers President Recep Tayyip Erdogan already wields. Washington is worried that Erdogan will use the issue to whip up further anti-Americanism and take further aggressive action against the YPG in Syria to boost nationalist votes. RAWALPINDI: Pakistan Day will be celebrated with national spirit and patriotic zeal on March 23 as preparations are in the full swing, Samaa reported Monday. Inter-Services Public Relations, the media wing of the Pakistan Army, has said the troops of Chinese Army will also attend the meeting. Meantime Turkey’s military band will also participate in the Pakistan Day ceremony. It should be mentioned here that earlier the ISPR released a special promo for the celebrations of the 70th Pakistan Day. “A Turkish campaign has no business being here in Germany,” he told public broadcaster ARD, saying he is “strongly opposed politically” to such events. Ankara is locked in a dispute with several European countries which have sought to stop Turkish ministers from holding rallies in their countries ahead of an April referendum aimed at expanding President Recep Tayyip Erdogan’s powers. “But there are limits — clear limits, for example in the criminal code. It Is hardly noticed,” he said. German lawmakers from across the political spectrum on Sunday called on the Bundeswehr to withdraw troops and jets from its air base in Turkey. The Christian Social Union (CSU), the Bavarian sister-party of Chancellor Angela Merkel’s conservative Christian Democrats, cited the worsening relations and escalating war-of-words between Berlin and Ankara as reason to pull troops out of Incirlik, a key airbase located by the Syrian border. The CSU’s spokesman for foreign and security policy, Florian Hahn, told the German “Bild am Sonntag” newspaper that “amid this heated atmosphere, it has become increasingly uncertain that the Turkish government can and will guarantee the protection of our soldiers in Incirlik.” Germany should not allow its troops to become a mere bargaining chip in Turkish President Recep Tayyip Erdogan’s power games, he added. Hahn also indentified Jordan as an improved alternative as a base for Germany’s Middle East operations. STOCKHOLM (Reuters) – The Swedish government and part of the political opposition agreed on Monday to boost defense spending by 500 million crowns ($55.7 million) this year to bolster military capabilities in the face of growing security concerns in the region. A resurgent Russia and tensions over the conflict in Ukraine prompted politicians to call for an improvement of military capabilities that had been let to slide since the end of the Cold War. While the funds allotted were minor, the parties also flagged that further additional spending would be considered in the budget process for the coming years. “We have seen a deterioration of the security situation over time, so it is important to respond to that with different measures and this is a part of that strategy,” Defense Minister Peter Hultqvist told reporters. The Nordic country’s top military chief, General Micael Byden, said earlier this year that the armed forces lacked at least 6.5 billion crowns to fully fund planned operations in the coming three years. “We will now analyze and continue the discussions and get back to how we handle this,” said Hultqvist referring to the budget for 2018 which is due later this year. A new NATO report says Canada saw a small bump in defence spending last year, but also notes that the country remains in the bottom half when compared to the rest of the military alliance. The report says Canada spent just over one per cent of its GDP on the military last year, which represented an increase from the previous year when it spent slightly less than one per cent. But Canada was still far short of the target of two per cent of GDP that all NATO members agreed to back in 2014. The figures have taken on new importance following the election of U.S. President Donald Trump, who has complained about NATO allies not spending enough on their own defence. The Ukrainian Navy is considering buying decommissioned NATO gunboats. Russian politician Nikolai Starikov told Sputnik that even if NATO gave Ukraine its old Island-class patrol ships for free, it would still cost more money than Kiev has to modernize them. “This is scrap metal the Americans are selling Ukraine. First, they are ramping up tensions on the Russian border and, simultaneously, are making money by getting rid of what they no longer need themselves,” said Starikov, who is the leader of the Great Fatherland Party. Meanwhile, First Deputy Commander of the Ukrainian Navy Andriy Tarasov said that the US patrol boats that can be handed over to Ukraine are either obsolescent or obsolete and will be replaced by new vessels with extended capabilities, but they still remain combat-capable. “To make it clear – these are not second-hand [vessels]. A boat that is delivered by a NATO member country has been maintained in the way that its combat capacity remains almost unchanged. For example, 20 years are quite okay for a missile boat, it remains fully combat-capable,” Tarasov assured. An Iranian investment fund signed a deal with Korea’s Hyundai Engineering Co on Sunday for a 3 billion euro ($3.2 billion) petrochemical project, which is awaiting financing by Korean banks, the oil ministry’s website SHANA said. 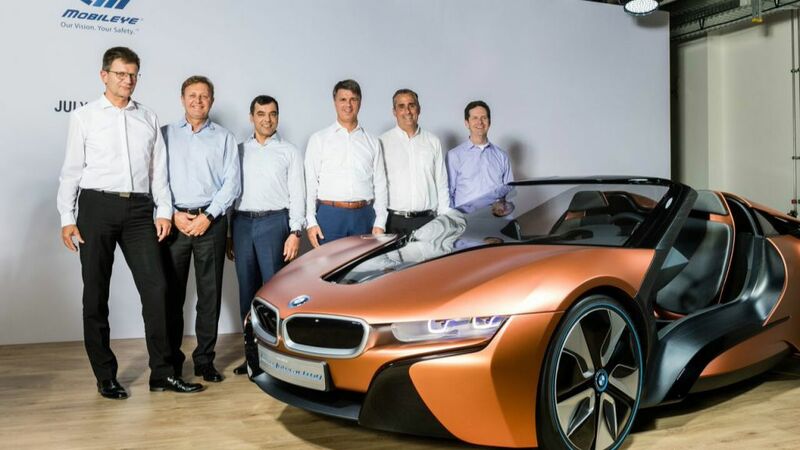 “The financing of this project will be finalised within nine months at the rate of 95 percent … by South Korean banks,” said Asghar Arefi, the Iranian official who signed the accord, according to SHANA.